As concern about the spread of Swine Flue mounts, buyers and sellers are being afflicted by their very own pandemic – that of the RFP (Request for Proposal). How serious is the pandemic? Well, it is demonstrated by the fact that 63 companies recently responded to two public sector tenders valued at just 90k in total. The RFP process, which is designed to treat all vendors equally and to keep them at arm’s length, is failing to take advantage of valuable vendor knowledge and expertise. The present economic climate has resulted in mounting budgetary pressure, and a heightened aversion to risk on the part of buyers. That has led to an increase in the use of the formalized RFX buying processes. However, there is evidence that this trend is giving rise to unanticipated problems for both buyers and sellers. Understandably buyers in an increasingly price competitive marketplace are looking to pit suppliers against each other in order to negotiate the best possible deal. Buyers have greater access to information and a desire for greater independence and control. That means they are delaying talking to vendors until their needs are established, the requirements set and the business case has been developed. Past experiences with pushy, arrogant, or unhelpful salespeople have resulted in many buyers keeping the seller at arms length until it is absolutely necessary. All these factors point to the advantages of theRFX process for buyers. However, there are downsides to the RFX process. Principal among these is the fact that the buyer seller relationship has being sidelined. The RFP process reduces the role of the supplier in matching needs to solutions to a mere form filling exercise. In this way the RFP process fails to take full advantage of valuable vendor knowledge and expertise. Instead, vendors must take requirements and needs purely on face value, and where there are gaps replace fact finding with guesswork. The RFP process is designed to treat all vendors equally – the good and the bad – and let’s be honest to keep them at arm’s length. But, some vendors are worth working with before the contract is awarded. 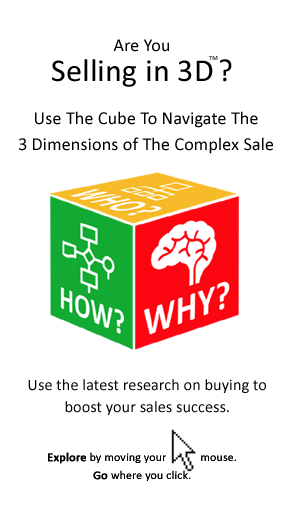 They can indeed help buyers to make better buying decisions. A key factor worth noting is the rise in administration associated with formal buying processes. On the buyer’s side there is the volume of paperwork and administration associated with 27 RFPs and the review of some 1300 pages of documentation. A rough calculation would put the cost of that buying process at up to 60% of the actual project cost itself. RFP – what a dreadful waste of resources. It is important to point out in both these cases that a publicly advertised tender was not mandatory – falling below the 50k threshold. Clearly buyers need to be more careful about how they implement RFP processes. This is something that buyers in North America may be ahead of the curve on, compared to there European counterparts. In particular publishing clear and unambitious pre-selection criteria, or requiring a pre-screening questionnaire to prevent organizing preparing full RFP submissions for which they clearly have no chance of being selected. ‘Buyer Beware’ Becomes ‘Seller Beware’. In a tight market, with pipelines under pressure it is hard to say no to an RFP. However, we really admire those managers that can and will say ‘no’ to an RFP that they don’t feel they can win. — One salesperson told me recently of a 400 page tender submitted and lost, without any direct contact with the organisation either prior to, or during the RFP process. — Another manager indicated that his team are presently preparing responses to RFPs for markets as diverse as Portugal and Australia – markets for which the company has no previous experience. — The level of innovation and creativity in the typical RFPs is often limited to copying and pasting from a variety of different documents. It is not surprising therefore that many fail to communicate a clear and compelling reason to buy in the mist of volumes of company and product related data. — One manager estimated the cost of RFP preparations at 150,000 in one year alone, a year in which sales and marketing budgets were under tremendous pressure. — We need another sales resource, but cannot afford it at the present exclaimed another manager. However, this company had made an expensive sales hire last year, with that person almost totally dedicated to RFP preparation at present. It is clear that the person hired is ideally suited to document preparation, but less suited to other sales related tasks. — A multinational client recently made the decision to only respond to RFP’s when they get to interact with at least one member of the buying team with an understanding of the business issues the RFP response is meant to address. — A review of public sector tenders by a professional engineering body suggests that the tender criteria publicised and applied are not always consistent. For example, although quality related criteria were weighted at 80% and price related variables rates at 20%, 32 out of 34 tenders awarded went to the lowest cost supplier – in a manner that seemed unrelated to price. 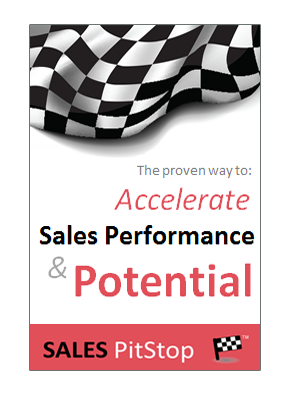 The RFX is a unique sales challenge. Clearly, the increased sophistication applied to other aspects of selling must be applied to RFX preparation too. In many cases managers are missing key information – that is the cost (including opportunity cost) of preparing an RFX response, as well as the chances of success based on historical win rates. This information is essential to determining how and when RFXs will and will not be prepared.